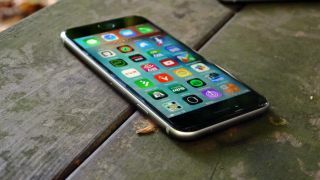 The latest round of iOS 9 bug fixes have landed, less than a week after the Phone 6S and iPhone 6S Plus launched. The first fix is critical if you're worried about capping your data, while the second is important for those who couldn't access iMessage. It's encouraging Apple is releasing patches and performance boosts this frequently, as nice as it would be not to have the issues in the first place. The first set of bug fixes arrived with iOS 9.0.1, a small update that landed a week after iOS 9 first became public.